View our range of new stoves at our sister company, West Midlands Stoves. 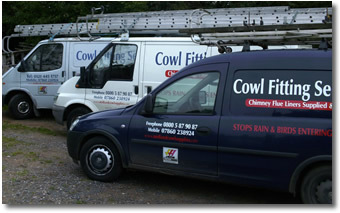 Stove & Flue Fitting Services: the #1 professional sweeper, supplier and fitters of Chimney’s, Cowls, Stoves, Flues & Flue Liners in the West Midlands, Wolverhampton, Birmingham and Worcestershire. We won’t be beaten on price & quality! See our new video - click here! Stove Fitting Services are suppliers and fitters of stoves of all types , Flues and Flue Liners of all types, Cowls, Chimney Pots, Wood Burning Stoves and Multifuel Stoves in: Solihull, Selly Oak, Hagley, Halesowen, Kidderminster, Bromsgrove, Bewdley, Stourport, Stourbridge, Redditch, Birmingham, West Midlands, Wombourne, Worcestershire and Wolverhampton. To view our range of new stoves, please visit West Midlands Stoves, our sister company, where we stock a complete range of brand new stoves. WE NOW SUPPLY FLUES AND ACCESSORIES TO TRADE AND RETAIL CUSTOMERS - JUST CALL 0800 587 9087 OR CLICK HERE TO ORDER. If you have any questions please call us on 0800 587 9087 or 07860 238 924. We stock an entire range of new stoves at our sister company, West Midlands Stoves. We offer a complete supply and fit service of your new stove, including flues, flue lining, hearths, backing stones and the stove itself. To find out more about our services please visit www.WestMidlandsStoves.com or come to our showroom in Stourbridge to view our complete range. Our range of stoves include manufacturers such as Aduro, Broseley, Burley, Ekol, Esse, Fireline, Hi Flame Alpha, Hi FlameOlymberol, & Hi Flame Precision Ranges, James Smellie, Jetmaster, Merlin, Stovax, Trianco and Yeoman - more manufacturers are being added all the time. Come and have a look in our showroom to find your new stove. * - Price guarantee on like for like products and fitting. West Midlands Stoves - the #1 supplier of Wood Burning, Gas and Multifuel Stoves in Birmingham, Worcestershire and the West Midlands. Flue Supplies UK - your one stop supplier of flue liners, chimney flues, connecting pipes, cowls and fans. Fitting a Flue or Liner is not an easy task. Find out more here. Suppliers and installers of Cowls, Chimney Pots, Flues, Flue Liners, Stoves, Wood Burning Stoves, Multifuel Stoves, Woodburning Stoves, Stoves of all types in: Solihull, Hagley, Birmingham, West Midlands, Worcestershire and Wolverhampton.